Bird Watchers Will Love This Beautiful Quilt! 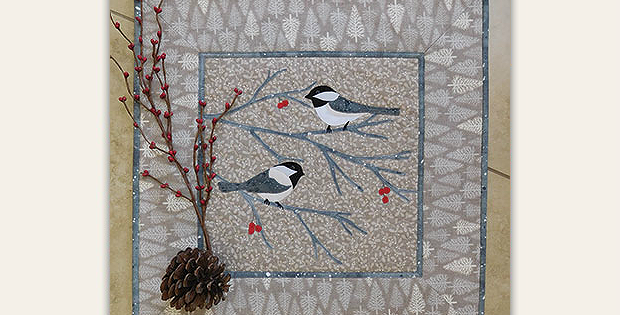 Chickadees sit on winter branches in this artistic little quilt. Hang it on a wall or display it on a table all winter long. This makes a wonderful gift, too, for anyone who enjoys winter bird watching. They’re sure to be delighted by the realistic depiction of these cheerful little birds that often appear at bird feeders. Fusible applique makes the quilt surprisingly easy to construct. Once you have the fabrics selected you can have this finished in just a few hours. The finished quilt is 18″ square. 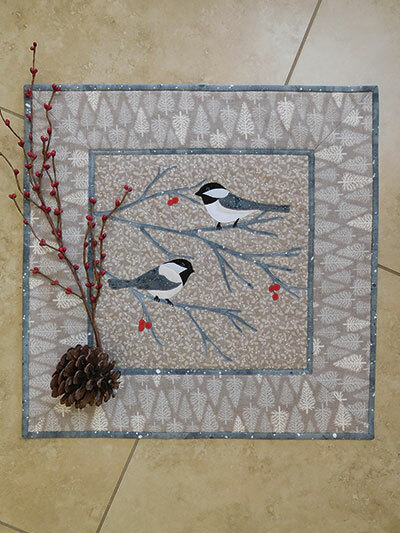 Click here to purchase the “Chickadee-dee-dee Quilt” pattern.